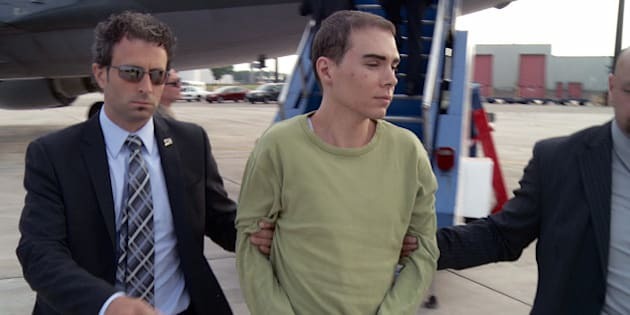 MONTREAL - Luka Rocco Magnotta is schizophrenic and was not criminally responsible when he killed Chinese student Jun Lin in 2012, his lawyer told jurors on Monday. Magnotta has been diagnosed with borderline personality disorder and there is a history of schizophrenia in his family, Luc Leclair said on the first day of his client's highly publicized first-degree murder trial. "I intend to show to you that at the time of the events, he was not criminally responsible," Leclair told the eight women and six men who will hear the evidence. His comments capped a stunning morning in the courtroom that began with Magnotta, 32, entering fresh not-guilty pleas to five charges, including murder. Quebec Superior Court Justice Guy Cournoyer then advised the jurors that Magnotta had admitted to committing the crimes and that their task over the next six to eight weeks would be to determine his state of mind at the time. "I have to tell you, Mr. Magnotta admits the acts or the conduct underlying the five offences he's charged with," Cournoyer said. "Your task will be to determine whether the Crown has proven he has committed the five offences with the required state of mind for each offence." Leclair revisited the matter as he spoke to the jurors. "Mr. Magnotta has admitted the physical acts for each of the offences," he told them. "The other part to each charge is the mental part — so the defence will be focusing on that." The defence lawyer provided the jury with snapshots of Magnotta's life, including several visits to psychiatrists and a hospitalization in a psychiatric ward in Miami. Leclair also made mention of a meeting with a Toronto reporter about an allegation he had been dating killer Karla Homolka. He said he hopes several of Magnotta's relatives will testify, including his father, Donald Newman, who also has a history of schizophrenia. Leclair took the unusual step of addressing the jurors before the Crown had presented the outline of its entire case. He said he wanted to ensure the jury didn't think it was simply "wasting its time." The lawyer said a large number of medical files will be presented. Earlier, Crown prosecutor Louis Bouthillier told jurors he expects to show them the crimes were premeditated. "The two words you should have in mind while listening to the evidence are 'planned and deliberate,'" he said. Magnotta was impassive as Bouthillier said the testimony of a journalist from England will indicate Lin's murder had been in the works for six months. He said the reporter and his media organization received an email in December 2011 that shows Magnotta was intending to kill a human and film the event. "This email makes it clear that Mr. Magnotta was planning to kill a human being and that he was going to make a movie," Bouthillier told the jurors. He also said they will see Lin's last moments alive, images that were captured by a surveillance video at a Montreal apartment. Lin's body was later found cut up: hands and feet were mailed to political offices in Ottawa and schools in Vancouver. The rest of the body was found in the trash behind the apartment. His head was found in a Montreal park one month after his slaying. The jury is expected to hear testimony from about 60 witnesses, including some from France and Germany who were interviewed by Canadian authorities. Bouthillier said that in the third week of the trial, jurors will watch the so-called murder video that the defence has described as "graphic, gruesome and potentially upsetting." "And it is," the veteran prosecutor added, suggesting the evidence will show Magnotta posted the video to the Internet hours after Lin's death. Bouthillier said the first minute of the video contains footage of another man, with that segment having been filmed one week before Lin was killed. The first witness at the trial, which is expected to last between six and eight weeks, was Caroline Simoneau, a Montreal police crime-scene technician. She was called to the scene after the Lin's torso was discovered stuffed in a fly-covered suitcase in the trash behind the low-rent Montreal apartment. Simoneau snapped more than 100 photos at the scene, going through trash bags and documenting the contents. Several body parts — two arms and one leg — were triple-bagged and were among countless items recovered from trash bags outside the apartment. Also recovered were a grinder saw, a hammer and a screwdriver. There were also numerous personal items — receipts, clothes, shoes among them. A torrential downpour on the day the discovery was made complicated the collecting of evidence, Simoneau testified. Lin's father, Diran Lin, was in the courtroom on Monday along with a lawyer and translator. At a news conference outside the courtroom, the lawyer said Lin thanked the court system and that he vowed to be present until a final verdict is handed down in his son's slaying. Magnotta sat in the prisoner's dock wearing a grey sweater, dark pants and dark-rimmed glasses. He appeared heavier than when he was arrested in June 2012. A native of Scarborough, Ont., Magnotta was arrested without incident at a Berlin Internet cafe on June 4, 2012, several days after Lin's slaying. The process of selecting the jury took eight days, with the court vetting about 1,600 people called to serve. The trial will take place primarily in English, although some elements are expected to be in French. His family said in April 2013 that Lin had a comfortable life working in IT at Microsoft's Beijing office, but had sought a move to Canada to study and to improve his life. Magnotta is also charged with committing an indignity to a body; publishing obscene material; criminally harassing Prime Minister Stephen Harper and other members of Parliament; and mailing obscene and indecent material.